USA. Steven Gray. 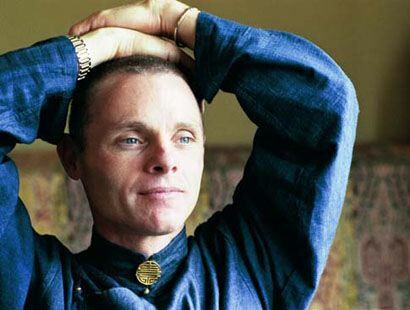 Adyashanti began teaching in 1996 after a series of transformative spiritual awakenings, at the request of his Zen teacher with whom he had been studying for 14 years. Adyashanti's teachings have been compared to some of the early Ch'an (Zen) masters of China as well as teachers of Advaita Vedanta in India. "You must want to know the truth more than you want to feel secure in order to fully awaken to the fact that you are nothing but Awakeness itself." "The Buddha's insight into the middle way is not simply about a balance between extremes. This conventional understanding misses the deeper revelation of the middle way as being the very nature of unexcelled enlightenment. The middle way is an invitation to leap beyond nirvana and samsara and to realize the unborn Buddha mind right in the middle of everywhere." "All that is necessary to awaken to yourself as the radiant emptiness of spirit is to stop seeking something more or better or different, and turn your attention inward to the awake silence that you are." "As soon as the mind pulls out an agenda and decides what needs to change, that's unreality. Life doesn't need to decide who's right and who's wrong. Life doesn't need to know the "right" way to go because it's going there anyway."